Use the form below to contact accommodation Haira directly. 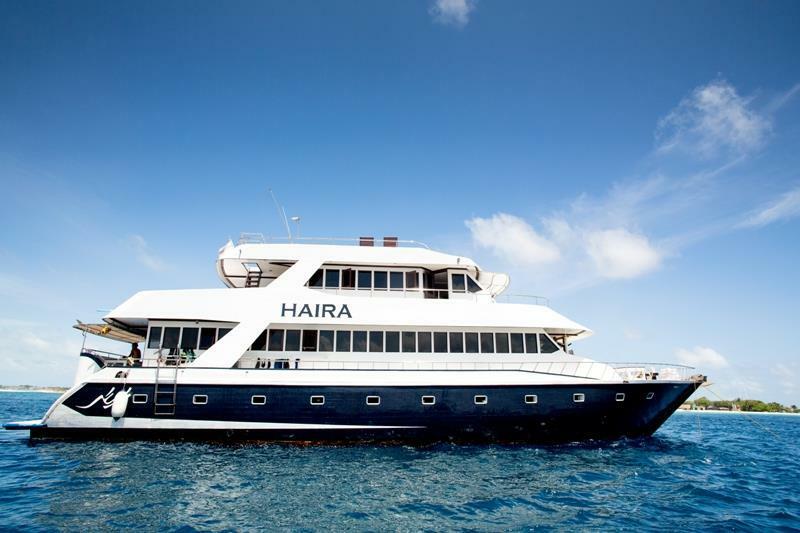 Haira a great choice to experience the Maldives. Watch the dolphins play. 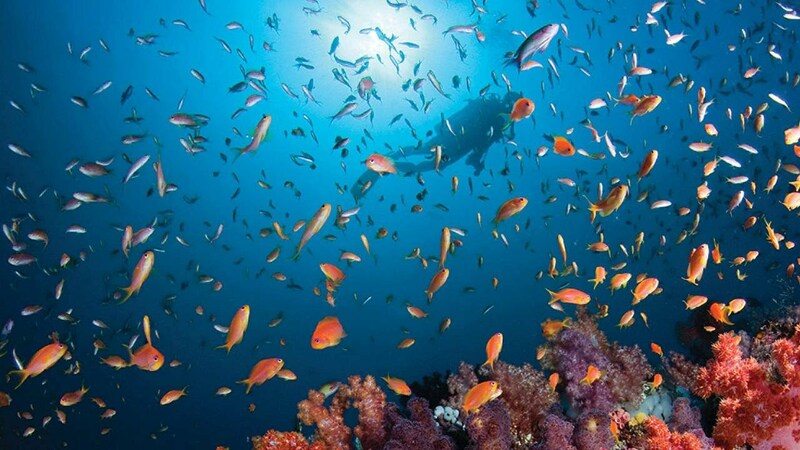 Swim with the mantas and turtles, snorkel above countless pristine coral reefs, photograph beautifully colored tropical fish, explore uninhabited islands and fish till your hearts’ content. Go where you want, when you want. Great crews and service. 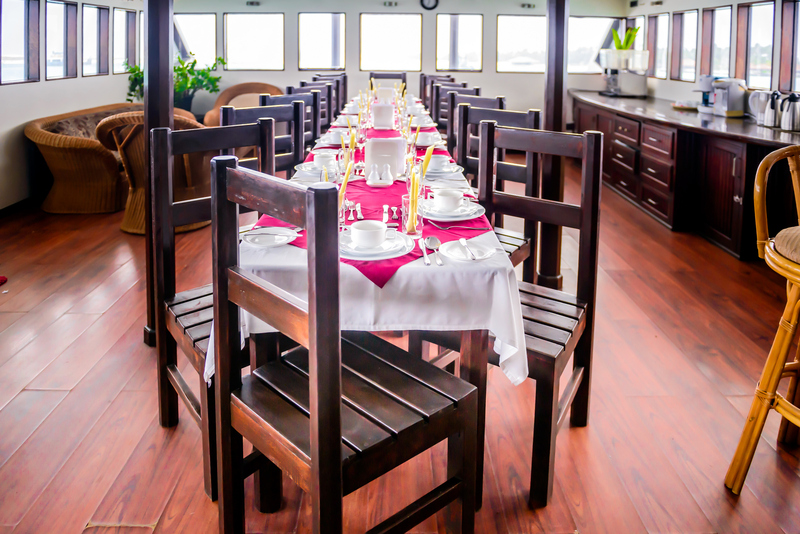 The chef prepares delicious meals, as you like, especially your freshly caught fish with a good selection of wines. 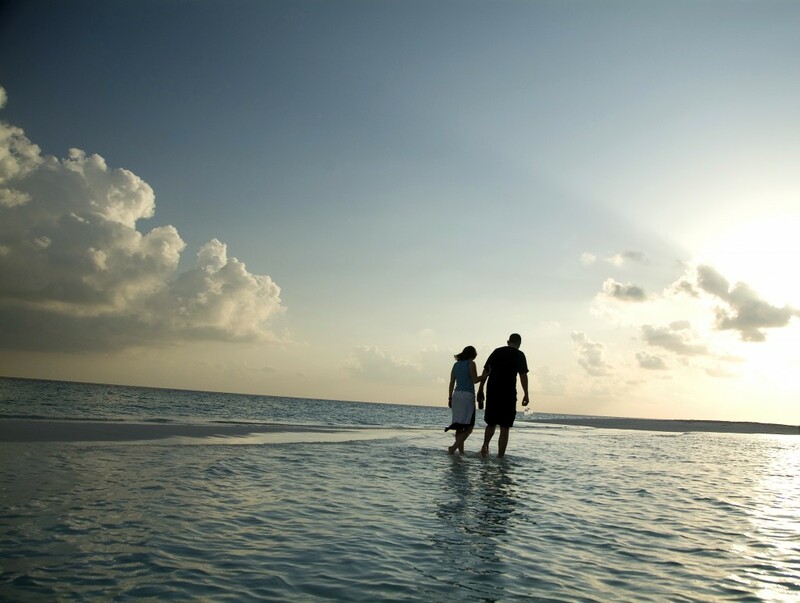 Adventures and fun make for unforgettable memories. 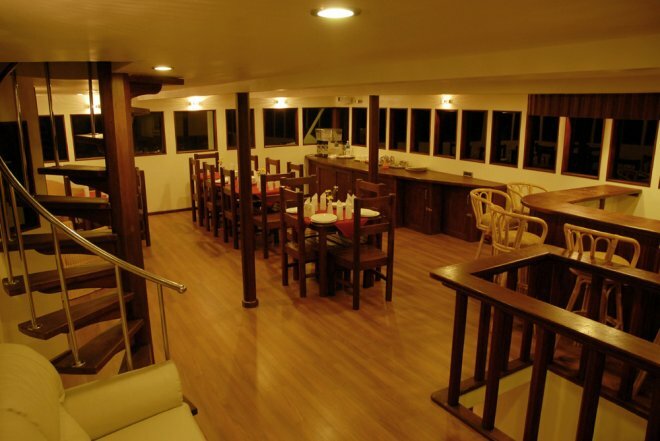 Hairais is one of the unique live aboard for surf trips. Haira was built for the 2007 season. 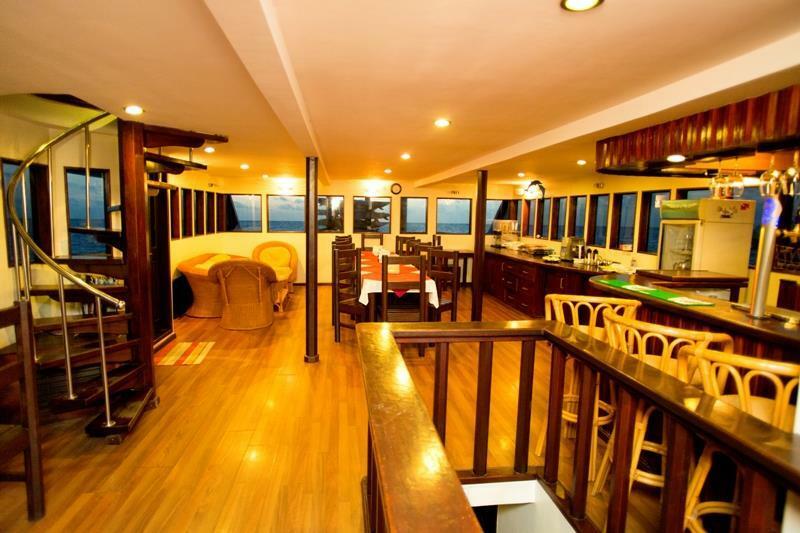 Haira has spacious 3 levels of rooms & entertaining areas. 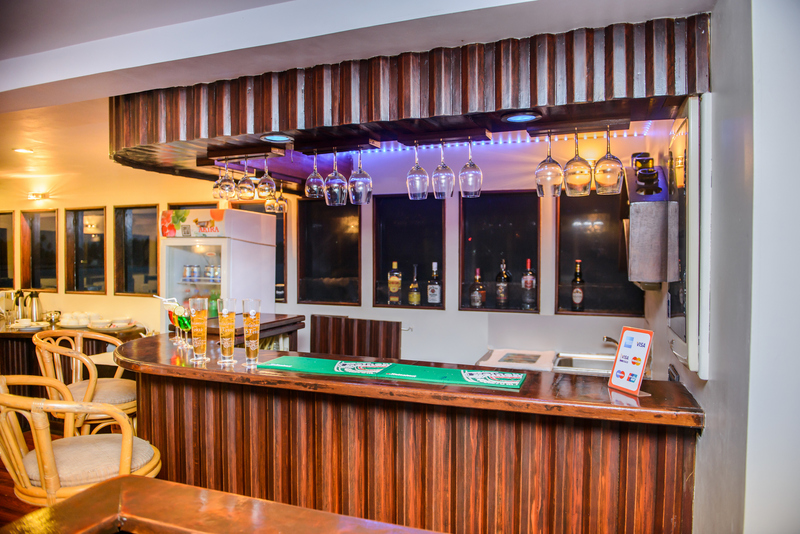 Thereis a restaurant, bar & lounge – with a state-of-the-artentertainment system including large flat screen TV, DVD player, andconnection for your iPod/iPhone. Onthe next level there is a funky disco bar with dance floor & openterrace/sunset deck. For those keen on soaking up the rays there are sundecks out the front on the second level and out on the roof. – Fully air-conditioned 11 cabin consisting 07 double, and 02 twin cabins (can be make Dbl) 2 Bunk cabin (can be make Triple). Standard full charter for 24 guests. – Build; In the Maldives. – Engine Type; 6H A 2M-THE. 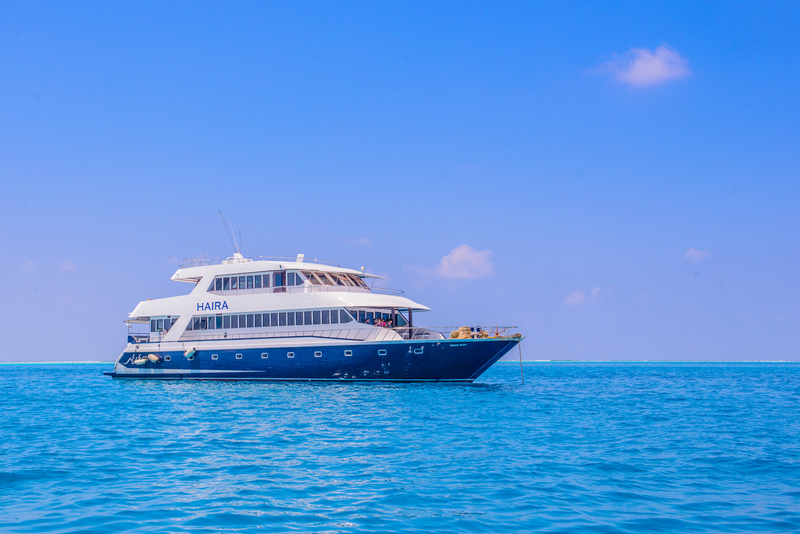 – Cruising speed and fuel consumption; 10 – 12 knots, per hrs. – Fuel capacity; 6000Ltrs. (in two tanks). – Water tank Capacity; 10000L (in three Tanks). – Generators; Waterbuck Marine Diesel. (U.S.A) MDL 35.Obeda 534, 50HZ, 3 Phases, 0.8pf, 35Kw AT 1500 Rpm. 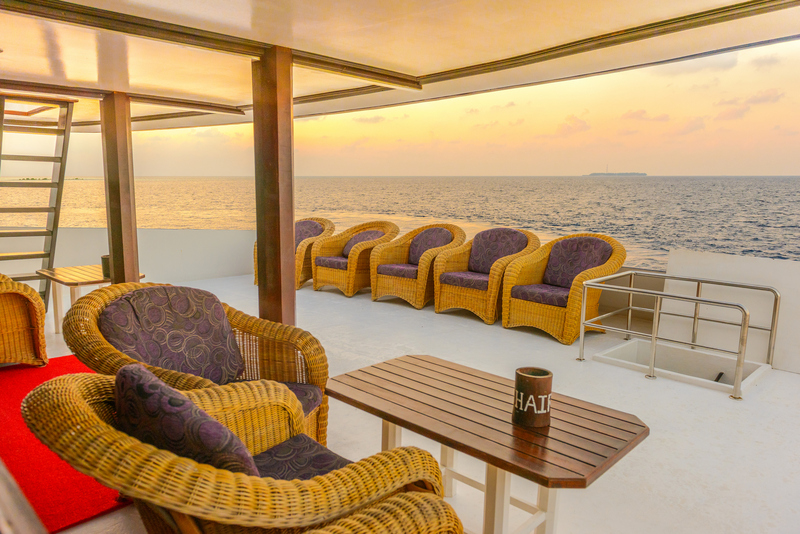 – Chilled liquid cool marine Air condition System, with control switch in each rooms. – Fire extinguishers-fire alarm in the cabins (will be fixing). – Gas alarm in the galley (will be fixing). – Life jackets, life buoys.